Source: Medieval Clothing and Textiles , 6., ( 2010): Pages 33 - 56. Source: Medieval Clothing and Textiles , 6., ( 2010): Pages 173 - 205. Source: Women and Wealth in Late Medieval Europe. Edited by Theresa Earenfight The New Middle Ages. . Palgrave Macmillan, 2010. Medieval Clothing and Textiles , 6., ( 2010): Pages 135 - 148. Source: Renaissance Florence: A Social History. Edited by Roger J. Crum and John T. Paoletti . Cambridge University Press, 2006. Thirteenth Century England: Proceedings of the Gregynog Conference 2005 , 11., ( 2007): Pages 394 - 412. Source: Women's Space: Patronage, Place, and Gender in the Medieval Church. Edited by Virginia Chieffo Raguin and Sarah Stanbury . State University of New York Press, 2005. Thirteenth Century England: Proceedings of the Gregynog Conference 2005 , 11., ( 2007): Pages 1 - 21. Source: Women's Space: Patronage, Place, and Gender in the Medieval Church. Edited by Virginia Chieffo Raguin and Sarah Stanbury . State University of New York Press, 2005. Thirteenth Century England: Proceedings of the Gregynog Conference 2005 , 11., ( 2007): Pages 75 - 103. Title : Access to Salvation: The Place (and Space) of Women Patrons in Fourteenth-century Florence [The author provides a case study of Monna Andrea Acciaiuoli's patronage of her husband's family chapel in Santa Maria Novella. She commissioned the glass windows and the altarpiece. Heller raises the question of whether Monna Andrea and other female patrons had access to these family chapels beyond the rood screen. Title note supplied by Feminae.]. Source: Women's Space: Patronage, Place, and Gender in the Medieval Church. Edited by Virginia Chieffo Raguin and Sarah Stanbury . State University of New York Press, 2005. Thirteenth Century England: Proceedings of the Gregynog Conference 2005 , 11., ( 2007): Pages 161 - 183. Title : Theodelinda's Rome: "Ampullae," "Pittacia," and the Image of the City [Describes the political significance of Theodelinda's patronage of a collection of oils from the Roman "martyria," its repercussions on her relationship with Pope Gregory the Great, and that of Lombardy with the papacy in Rome. Also investigates how the burial locations of saints defined the layout of medieval cities. Title note supplied by Feminae]. Source: Memoirs of the American Academy in Rome , 50., ( 2005): Pages 131 - 145. Title : Introduction [The authors briefly survey Angevin patronage, the nuns' practices, the pictorial program, and the architectural scheme of the church of Santa Maria Donna Regina in Naples. Title note supplied by Feminae.]. Source: The Church of Santa Maria Donna Regina: Art, Iconography, and Patronage in Fourteenth-Century Naples. Edited by Janis Elliott and Cordelia Warr . Ashgate, 2004. Memoirs of the American Academy in Rome , 50., ( 2005): Pages 1 - 12. Source: The Church of Santa Maria Donna Regina: Art, Iconography, and Patronage in Fourteenth-Century Naples. Edited by Janis Elliott and Cordelia Warr . Ashgate, 2004. Cîteaux: Revue d'Histoire Cistercienne , 55., 40241 ( 2004): Pages 45 - 60. Title : The Architectural Context of Santa Maria Donna Regina [The author briefly surveys three aspects of the church's architecture: the organization of the spaces, the particular needs of Clarissan churches, and the development of the church's design in relation to other Neapolitan churches, especially the cathedral with the tomb of Charles I. Title note supplied by Feminae.]. Source: The Church of Santa Maria Donna Regina: Art, Iconography, and Patronage in Fourteenth-Century Naples. Edited by Janis Elliott and Cordelia Warr . Ashgate, 2004. Memoirs of the American Academy in Rome , 50., ( 2005): Pages 79 - 92. Source: Irish Women's History. Edited by Alan Hayes and Diane Urquhart . Irish Academic Press, 2004. Memoirs of the American Academy in Rome , 50., ( 2005): Pages 15 - 28. Title : Santa Maria Donna Regina in its European Context [The author argues for Santa Maria Donna Regina's importance as a royal monastery for women. Other contemporary examples like Longchamps and Poissy do not survive. Furthermore, Mary of Hungary's tomb and the extensive fresco program incorporate complex dynastic and sacred themes. Title note supplied by Feminae.]. Source: The Church of Santa Maria Donna Regina: Art, Iconography, and Patronage in Fourteenth-Century Naples. Edited by Janis Elliott and Cordelia Warr . Ashgate, 2004. Memoirs of the American Academy in Rome , 50., ( 2005): Pages 195 - 201. Source: Eleanor of Aquitaine: Lord and Lady. Edited by Bonnie Wheeler and John Carmi Parsons The New Middle Ages . Palgrave Macmillan, 2003. Cîteaux: Revue d'Histoire Cistercienne , 55., 40241 ( 2004): Pages 177 - 211. Source: Studies on Medieval and Early Modern Women: Pawns or Players? Edited by Christine Meek and Catherine Lawless . Four Courts Press, 2003. Renaissance studies : journal of the Society for Renaissance Studies , 17., 2 (June 2003): Pages 90 - 110. Source: Gendering the Master Narrative: Women and Power in the Middle Ages. Edited by Mary C. Erler and Maryanne Kowaleski . Cornell University Press, 2003. Renaissance studies : journal of the Society for Renaissance Studies , 17., 2 (June 2003): Pages 94 - 104. Source: Eleanor of Aquitaine: Lord and Lady. Edited by Bonnie Wheeler and John Carmi Parsons The New Middle Ages . Palgrave Macmillan, 2003. Renaissance studies : journal of the Society for Renaissance Studies , 17., 2 (June 2003): Pages 55 - 76. Source: Italian History and Culture , 8., ( 2002): Pages 51 - 65. Source: Our Medieval Heritage: Essays in Honour of John Tillotson for His 60th Birthday. Edited by Linda Rasmussen, Valerie Spear, and Dianne Tillotson . Merton Priory Press, 2002. Past and Present , 178., (February 2003): Pages 15 - 29. Source: Gender and Holiness: Men, Women, and Saints in Late Medieval Europe. Edited by Samantha J. E. Riches and Sarah Salih . Routledge, 2002. Past and Present , 178., (February 2003): Pages 23 - 35. Source: Speculum , 77., 1 (January 2002): Pages 34 - 54. Title : Anonymous Lives: Documents from the Benedictine Convent of Sant Pere de les Puelles [The author introduces three documents from a monastic archive in Barcelona. They all concern women who are disposing of financial assets, either through a will or through donations to the monastery upon becoming a nun there. In all three cases the women went to some length to ensure that their wishes would be obeyed. Latin texts of the documents along with English translations follow. Title note supplied by Feminae.]. Source: Women Writing Latin from Roman Antiquity to Early Modern Europe. Volume 2: Medieval Women Writing Latin. Edited by Laurie J. Churchill, Phyllis R. Brown, and Jane E. Jeffrey . Routledge, 2002. Studies in Iconography , 23., ( 2002): Pages 265 - 280. Title : Building Activity in Constantinople under Andronikos II: The Role of Women Patrons in the Construction and Restoration of Monasteries [The author notes the substantial number of both female patrons and women's monasteries during this period. The patrons are connected to the royal family by blood or marriage. 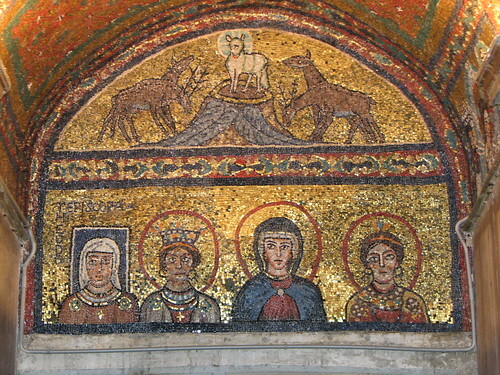 Individuals profiled include Theodora Raoulaina, Maria Palaiologina, Theodora Synadene, Irene Choumnaina Palaiologina, and Maria Doukaina Komnene Branaina Palaiologina. The women were all widows at the time of their donations and gave substantial gifts for a monastery to which they could retire and where they could bury their family members. Title note supplied by Feminae.]. Source: Byzantine Constantinople: Monuments, Topography, and Everyday Life. Edited by Nevra Necipoglu. The Medieval Mediterranean: Peoples, Economies, and Cultures, 400-1453, Volume 33 Medieval Mediterranean, 33. Brill, 2001. Memoirs of the American Academy in Rome , 46., ( 2001): Pages 329 - 343. Title : Women and Piety. Part Three of Court and Piety in Late Anglo-Saxon England by Mary Frances Smith, Robin Fleming, and Patricia Halpin [the author focuses on the often rich material goods, sometimes of their own making, that women gave to the Church, including embroideries, woven cloth, ecclesiastical vestments, crucifixes, books, and jewelry; the author argues that women in general were concerned with encouraging a private, personal spirituality and had more control over the dispersal of their material goods than their land]. Source: Collectanea Franciscana , 71., 40180 ( 2001): Pages 139 - 170. Title : Nuns and Their Art: The Case of San Zaccaria in Renaissance Venice [the nuns of San Zaccaria, mostly of good birth, had a symbiotic relationship with the city of Venice; public and private interests supported the nuns; and they responded by, among other things, patronizing art that was seen by visitors to their church; during the fifteenth century the nuns both redecorated their original church and, in the 1460s, built a new church alongside the old; the nuns not only funded these projects, they supervised the work to see that their wishes were heeded]. Title : A Good Woman: Gender Roles and Female Religious Identity in Late Medieval Bergamo [The author argues that women in Bergamo in the late Middle Ages saw a growing limitation on their participation in public religion. Confraternities became more male-dominated and changed their female members from participants to clients for services including estate management and memorial masses. However, women did find other outlets for their religious devotion within private, domestic environments, such as female monasteries. This resulted in women meeting their spiritual needs by cobbling together a network of relationships and services as reflected by women's bequests from Bergamo of household goods, money, and land to female monasteries, parish churches and confraternities. Title note supplied by Feminae.]. Source: Memoirs of the American Academy in Rome , 46., ( 2001): Pages 119 - 132. Source: Women in Renaissance and Early Modern Europe. Edited by Christine Meek . Four Courts Press, 2000. Byzantine Studies Conference. Abstracts of Papers , 26., ( 2000): Pages 84 - 94. Source: Collectanea Franciscana , 70., 40241 ( 2000): Pages 485 - 519. Source: Women in Italian Renaissance Culture and Society. Edited by Letizia Panizza . European Humanities Research Centre, University of Oxford, 2000. Collectanea Franciscana , 71., 40180 ( 2001): Pages 92 - 104. Source: Renaissance studies : journal of the Society for Renaissance Studies , 14., 3 (September 2000): Pages 273 - 300. Source: Magistra , 6., 1 (Summer 2000): Pages 37 - 60. Source: History: The Journal of the Historical Association , 85., 277 (January 2000): Pages 4 - 27. Reprinted in Gender, Family and the Legitimation of Power: England from the Ninth to Early Twelfth Century. By Pauline Stafford. Ashgate Variorum, 2006. Article XII. Title : The Empress, the Despoina, the Sultana, and Black-Robed Monks: Three Serbian Ladies on Mount Athos [The author cites the cases of three prominent women who were allowed to visit the monasteries that normally barred access to women]. Source: Byzantine Studies Conference. Abstracts of Papers , 26., ( 2000): Pages 106 - 107. Source: Women in Italian Renaissance Culture and Society. Edited by Letizia Panizza . European Humanities Research Centre, University of Oxford, 2000. Byzantine Studies Conference. Abstracts of Papers , 26., ( 2000): Pages 18 - 34. Source: Aristocratic Women in Medieval France. Edited by Theodore Evergates . University of Pennsylvania Press, 1999. Viator , 30., ( 1999): Pages 44 - 73. Title : Exemplum and "Imitatio" : Countess Matilda and Lucrezia Pico della Mirandola at Polirone Italy [the Appendix reproduces four documents in Latin concerning Lucrezia Pico della Mirandola and the monastery at Polirone]. Source: Collegium Medievale , 12., ( 1999): Pages 7 - 24. Title : Powerful Allies and Dangerous Adversaries: Noblewomen in Medieval Society [the author writes an introductory overview of noble women's lives as daughters, wives, mothers, and widows including their relationships with the church and land]. Source: Women in Medieval Western European Culture. Edited by Linda E. Mitchell . Garland Publishing, 1999. Collegium Medievale , 12., ( 1999): Pages 7 - 30. Source: Women in Scotland c. 1100-c. 1750. Edited by Elizabeth Ewan and Maureen M. Meikle . Tuckwell Press, 1999. Collegium Medievale , 12., ( 1999): Pages 3 - 15. Title : Les Femmes, les arts et la culture en occident dans le haut moyen âge [The author examines the efforts made by learned women during the Carolingian era to promote Biblical knowledge and reform the liturgy. In monasteries high-born women copied important texts and wrote in all the valued literary genres. Royal and noblewomen, including Gisela, the sister of Charlemagne, and Rotrude, his daughter, developed relationships as patrons and allies with scholars and churchmen from whom they commissioned texts which responded to their religious needs. Title note supplied by Feminae.]. Source: Femmes et pouvoirs des femmes à Byzance et en Occident (VIe -XIe siècles). Colloque international organisé les 28, 29 et 30 mars 1996 à Bruxelles et Villeneuve d'Ascq. Edited by Stéphane Lebecq, Alain Dierkens, Régine Le Jan, and Jean-Marie Sansterre . Centre de Recherche sur l'Histoire de l'Europe du Nord-Ouest, Université Charles de Gaulle-Lille 3, 1999. Collegium Medievale , 12., ( 1999): Pages 149 - 161. 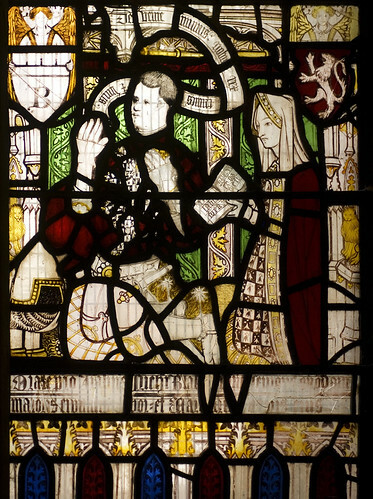 Title : Women, Posthumous Benefaction, and Family Strategy in Pre-Conquest England [The author analyzes wills in which women play a prominent part, particularly in the granting and receiving of property; the author argues that women cared for family property and passed it on to the church as the original donors wished]. Source: Revue Bénédictine , 109., 40180 ( 1999): Pages 154 - 185. Title : Sancha, Urraca, and Elvira: the Virtues and Vices of Spanish Royal Women "Dedicated to God" [The author traces evidence of the power of Urraca and Sancha; Urraca had the institution of the infantado which placed monasteries within her control; Sancha evidently was involved with the change from the Mozarabic liturgy to the Roman liturgy]. Source: Reading Medieval Studies , 24., ( 1998): Pages 113 - 138. Title : A Poem by Maria Comnene Palaeologina from Manuscript No. 177 of the Ivan Dujcev Centre for Slavo-Byzantine Studies [suggests that the author of the poem was the illegitimate daughter of Michael VIII Palaeologus and was married to Abaka, the Mongol ruler of Persia; she may have found Codex No. 177 in Persia and donated it to the Monastery of the Chora in Constantinople; article includes the text of the poem]. Source: Byzantinoslavica , 58., 1 ( 1997): Pages 71 - 77. Title : The Early Abbesses, Nuns, and Female Tenants of the Abbey of Holy Trinity, Caen [using charters and early surveys, the author examines the administration of the abbesses, the social origins of the nuns, and the status of female tenants both in Normandy and England, particularly the inheritance rights of widows]. Source: Journal of Ecclesiastical History , 48., 3 (July 1997): Pages 425 - 444. Source: Il monachesimo femminile in Italia dall' Alto Medioevo al secolo XVII a confronto con l' oggi. Edited by Gabriella Zarri . San Pietro in Cariano: Il Segno dei Gabrielli editori, 1997. Journal of Ecclesiastical History , 48., 3 (July 1997): Pages 41 - 74. Title : Discreet and Devout Maidens: Women's Involvement in Beguine Communities in Northern France, 1200-1500 [explores the efforts of rulers (including the countesses of Flanders, Jeanne and Marguerite), members of the bourgeoisie, and beguines themselves to develop and finance beguine houses in Douai and Lille]. Source: Medieval Women in Their Communities. Edited by Diane Watt . University of Toronto Press, 1997. Reading Medieval Studies , 24., ( 1998): Pages 92 - 115. Title : English Noblewomen and the Local Community in the Later Middle Ages [roles that noble women played at the local level as employers, almsgivers, supporters of the parish, providers of hospitality and entertainment, and members of confraternities]. Source: Medieval Women in Their Communities. Edited by Diane Watt . University of Toronto Press, 1997. Reading Medieval Studies , 24., ( 1998): Pages 186 - 203. Source: Medieval Prosopography , 18., ( 1997): Pages 55 - 71. Title : Theodolinda: The Fifteenth-Century Recollection of a Lombard Queen [analysis of Theodolinda's meaning for the late medieval period, based on the art in the Theodolinda Chapel, the Cathedral's treasures associated with the queen, and the accounts by the fourteenth century chronicler Bonincontro and the eighth century historian, Paul the Deacon]. Source: The church retrospective: papers read at the 1995 Summer Meeting and the 1996 Winter Meeting of the Ecclesiastical History Society. Edited by R. N. Swanson Studies in Church History, 33. 1997. Medieval Prosopography , 18., ( 1997): Pages 195 - 225. Title : A Mirror of Monarchy: Music and Musicians in the Household Chapel of the Lady Margaret Beaufort, Mother of Henry VII [article includes an appendix listing the members of the chapel of Lady Margaret Beaufort]. Source: Anglo-Norman Studies , 19., ( 1996): Pages 97 - 122. Source: Medieval Family Roles: A Book of Essays. Edited by Cathy Jorgensen Itnyre . Garland Publishing, 1996. Anglo-Norman Studies , 19., ( 1996): Pages 3 - 19. Source: The Cultural Patronage of Medieval Women. Edited by June Hall McCash . University of Georgia Press, 1996. Anglo-Norman Studies , 19., ( 1996): Pages 50 - 72. Title : Proclaiming Her Dignity Abroad: The Literary and Artistic Network of Matilda of Scotland, Queen of England 1100-1118 [The author argues that Matilda pursued extensive projects in poetry, music, art, architecture, and literature in part to increase her prestige and spread her fame]. Source: The Cultural Patronage of Medieval Women. Edited by June Hall McCash . University of Georgia Press, 1996. Downside Review , 114., 397 (October 1996): Pages 155 - 174. Title : The Church of Sts. Sergius and Bacchus in Constantinople: Who Built It and Why? [Suggests that both Justinian and his wife Theodora were responsible but had different motives. Theodora was moved by religious concerns while Justinian was worried about the outcome of the Persian War]. Source: The Cultural Patronage of Medieval Women. Edited by June Hall McCash . University of Georgia Press, 1996. Byzantine Studies Conference. Abstracts of Papers , 22., ( 1996): Pages 306 - 320. Title : Seafarers and Stay-At-Homes: Anglo-Saxon Nuns and Mission [The author traces the activity of nuns during the Anglo Saxon period from Leoba's missionary efforts in Germany to the much more restricted period in the tenth and eleventh centuries as double houses disappeared]. Source: Downside Review , 114., 397 (October 1996): Pages 246 - 266. Title : Praesidentes Negotiis: Abbesses as Managers in Twelfth- Century France [Hersende and Petronilla of Fontevraud and Héloïse, of Paraclet]. Source: Portraits of Medieval and Renaissance Living: Essays in Honor of David Herlihy. Edited by Samual K. Cohn, Jr. and Steven A. Epstein . University of Michigan Press, 1996. Byzantine Studies Conference. Abstracts of Papers , 22., ( 1996): Pages 189 - 205. Title : Anchoress, Abbess, and Queen: Donors and Patrons or Intercessors and Matrons? Source: The Cultural Patronage of Medieval Women. Edited by June Hall McCash . University of Georgia Press, 1996. Byzantine Studies Conference. Abstracts of Papers , 22., ( 1996): Pages 105 - 154. Reprinted in Art in the Medieval West and its Audience. By Madeline H. Caviness. Ashgate Variorum, 2001. Article 6. Source: The Cultural Patronage of Medieval Women. Edited by June Hall McCash . University of Georgia Press, 1996. Byzantine Studies Conference. Abstracts of Papers , 22., ( 1996): Pages 266 - 287. Source: Journal of Religious History , 19., 1 (June 1995): Pages 10 - 25. Title : The Wives and Widows of the Earls of Chester, 1100-1252: The Charter Evidence [focuses on their power to make land transactions, particularly in support of the Church]. Source: The Haskins Society Journal , 7., ( 1995): Pages 117 - 132. Title : The Wary Widow [case study of the will of Erkanfrida, widow of a minor noble man and a "deo sacrata," a woman consecrated to God in her widowhood; the author includes an English translation of the will and an appendix gives the Latin text of the will from Wampach's "Urkunden- und Quellenbuch zur Geschichte der altluxemburgischen Territorien," Reprinted in Courts, Elites, and Gendered Power in the Early Middle Ages: Charlemagne and Others. By Janet L. Nelson. Ashgate Variorum, 2007. Article 2. Pages 87-90]. Source: Property and Power in the Early Middle Ages. Edited by Wendy Davies and Paul Fouracre . Cambridge University Press, 1995. The Haskins Society Journal , 7., ( 1995): Pages 82 - 113. Reprinted in Courts, Elites, and Gendered Power in the Early Middle Ages: Charlemagne and Others. By Janet L. Nelson. Ashgate Variorum, 2007. Article 2. Source: Anglo-Saxon England , 24., ( 1995): Pages 251 - 308. Source: Deutsches Archiv , 51., ( 1995): Pages 83 - 114. Title : Nuns and Altarpieces: Agendas for Research [the author examines a group of late thirteenth-century paintings from Italian nunneries and a group of fourteenth-century convent altarpieces, mostly from Florence; he then considers the social, cultural, and physical conditions in which these artworks were created and viewed; he concludes by asking what kind of control did the nuns have over artworks that were commissioned through middlemen and, for that matter, did the nuns even see the altarpieces located beyond the grills required by "clausura"]. Source: Römisches Jahrbuch der Bibliotheca Hertziana , 30., ( 1995): Pages 27 - 57. Author(s): Von Teuffel, Christa Gardner. Title : The Contract for Perugino's "Assumption of the Virgin" at Vallambrosa [between 1498 and 1500, Perugino was commissioned to paint the altarpiece for the monks at Vallambrosa by Don Biagio Milanesi, member of a wealthy family and general of the order; the Appendix presents five documents related to the painting, including the contract, further instructions, a subcontract, a record of payment, and excerpts from Don Biagio's brother's will, demonstrating the family's support of the Vallambrosan order]. Source: Hidden Springs: Cistercian Monastic Women. Book One. Medieval Religious Women Volume Three. Edited by John A. Nichols and Lillian Thomas Shank, O.S.C.O Cistercian Studies Series . Cistercian Publications, 1995. Anglo-Saxon England , 24., ( 1995): Pages 29 - 48. Title : Queen Sancia of Mallorca and the Convent Church of Sta. Chiara in Naples [The author argues that the convent church building significantly departs from previous models of architectural planning in the Poor Clare tradition. In part she attributes this to Queen Sancia's deep devotion to the original ideals of Francis which prompted her to found a double house and redesign the church layout so that the nuns could see the host while remaining unseen by the laity and the Friars. The queen also was reacting to ecclesiastical controversies in which her own relatives took leading roles as proponents of the Franciscan Spirituals against Pope John XXII. Title note supplied by Feminae.]. Source: Memoirs of the American Academy in Rome , 40., ( 1995): Pages 69 - 100. Title : Intercession and the High- Medieval Queen: The Esther Topos [study of Queen Matilda, Consort of Henry I of England]. Source: Power of the Weak: Studies on Medieval Women. A selection of a papers presented at the annual conference of the Centre for Medieval Studies, University of Toronto, Feb. 1990. Edited by Jennifer Carpenter and Sally- Beth MacLean . University of Illinois Press, 1995. Anglo-Saxon England , 24., ( 1995): Pages 126 - 146. Title : Theophano: An Empress Reconsidered [evaluates contemporary accounts of Theophano, both positive and negative ; among the latter is a German nun's vision of Theophano in purgatory and numerous complaints about her love of foreign luxury]. Source: The Empress Theophano: Byzantium and the West at the Turn of the First Millennium. Edited by Adelbert Davids . Cambridge University Press, 1995. Anglo-Saxon England , 24., ( 1995): Pages 49 - 63. Author(s): Zomer, Hiltje F. H.
Title : The So-Called Women's Gallery in the Medieval Church: An Import from Byzantium [argues that the galleries were a symbol of royal power, not a place for women to be kept separate during services ; the author traces the use of church galleries from Constantine the Great and Justinian to their introduction in Germany at the convent basilica of Gernrode, perhaps under the influence of Theophano, and in France at St. Remi, a victory church for the Capets]. Source: The Empress Theophano: Byzantium and the West at the Turn of the First Millennium. Edited by Adelbert Davids . Cambridge University Press, 1995. Anglo-Saxon England , 24., ( 1995): Pages 169 - 193. Source: Mitteilungen des Instituts für österreichische Geschichtsforschung , 103., 40241 ( 1995): Pages 265 - 287. Source: Cahiers de Civilization Médiévale , 37., ( 1994): Pages 25 - 32. Source: Cahiers de Civilization Médiévale , 37., ( 1994): Pages 91 - 100. Title : Women Religious in Late Anglo-Saxon England [while nunneries declined in numbers, endowments, and influence during the post-reform period, evidence suggests that religious women, individually and in small groups, were affiliated informally with men's foundations]. Source: The Haskins Society Journal , 6., ( 1994): Pages 97 - 110. Source: Les Religieuses dans le Cloître et dans le Monde des Origines à Nos Jours. Actes du Deuxième Colloque International de C.E.R.C.O.R. Poitiers, 29 septembre-2 octobre 1988. . Publications de l'Université de Sainte-Etienne, 1994. Memoirs of the American Academy in Rome , 40., ( 1995): Pages 73 - 90. Title : Consecrated to Christ, Nuns of This Church Community: The Benedictines of Notre-Dame de Saintes, 1047-1792 [the author maintains that the documents and other evidence present "the picture of a large, independent, and self-consciously feminine community, which played an important part in the economic and cultural life of its region and possesed the vitality to survive long periods of war and other hardships during the 750 years of its existence" (Page 270)]. Source: American Benedictine Review , 45., 3 (September 1994): Pages 269 - 302. Title : Portuguese Art Treasures, Medieval Women and Early Museum Collections [The author briefly explores the early history of art collecting in Portugal. Royal and noble women founded and supported monasteries with gifts of jewels, paintings, liturgical objects, and other artwork. Some of these treasures are still on view in museums and libraries in Portugal. Title note supplied by Feminae.]. Source: Museums and the Making of "Ourselves": The Role of Objects in National Identity. Edited by Flora E. S. Kaplan . Leicester University Press, 1994. American Benedictine Review , 45., 3 (September 1994): Pages 291 - 313. Title : Le Landais, un exemple original de vie religieuse féminine dans le diocèse de Bourges au début du XIIe siècle [The author examines a document, reproduced in the Appendix, in which two men grant land in the forest of Landais to a group of holy women who live as hermits]. Source: Les Religieuses dans le Cloître et dans le Monde des Origines à Nos Jours. Actes du Deuxième Colloque International de C.E.R.C.O.R. Poitiers, 29 septembre-2 octobre 1988. . Publications de l'Université de Sainte-Etienne, 1994. American Benedictine Review , 45., 3 (September 1994): Pages 125 - 129. Source: Les Religieuses dans le Cloître et dans le Monde des Origines à Nos Jours. Actes du Deuxième Colloque International de C.E.R.C.O.R. Poitiers, 29 septembre-2 octobre 1988. . Publications de l'Université de Sainte-Etienne, 1994. American Benedictine Review , 45., 3 (September 1994): Pages 45 - 54. Title : À propos des débuts de l'abbaye de Rieunette [The author writes a brief note about the founding of Rieunette, a women's Cistercian monastery in Ladern-sur-Lauquet in the département of Aude. He argues that the Reine mentioned in records is probably Reine de Castillon, the widow of Bernard de Castillon, whose family did a great deal for the religious houses in the area. Title note supplied by Feminae.]. Source: Cîteaux: Revue d'Histoire Cistercienne , 43., 40182 ( 1992): Pages 450 - 454. Title : La "Leggenda riccardiana" di Santa Maria all' Impruneta: un anonimo oppositore del pievano Stefano alla fine del Trecento? [The image of Mary at Santa Maria all' Impruneta came to be attributed to Saint Luke; foundation of the shrine was dated by the "Leggenda" to the reign of Pope Urban II with an image created by a painter named "Luca;" the "Leggenda" gives an unusually accurate description of the image of the Virgin and Child, and it reuses earlier material in its discussion of the history of the shrine; the text also reflects the eventual displacement of other local patrons by the Buondelmonte family; the article concludes with three transcriptions from the "Storia di Santa Maria dell' Impruneta"]. Source: Archivio Storico Italiano , 149., ( 1991): Pages 503 - 551. Title : Il Bessarione a Grottaferrata: un'ipotesi sulla donazione dell'icona [Bessarion of Nicaea, while a cardinal resident in Rome, was commendatory abbot of the abbey at Grottaferrata. Among his donations to the abbey was an icon of the Virgin Mary painted in a Byzantine pictorial style. Although some elements of the painting are common to Rome in the Middle Ages, some elements, especially the inclusion of Saint Nilus in the triptych, are purely local to Grottaferrata. Title note supplied by Feminae.]. Source: Studi Medievali , 32., 2 (Dicembre 1991): Pages 807 - 814. Title : Why Found a Medieval Cistercian Nunnery? [Isabel de Aubigny, Countess of Arundel, was a noble-born English woman who established a Cistercian monastery in the thirteenth century. Isabel’s husband and many close relatives died when she was young, and she chose to remain a widow. After a series of additional family deaths, Isabel used the dowry she had been given by her father upon her marriage in order to establish a Cistercian nunnery. She had many motivations for founding the monastery: religious convictions (doing charity to benefit her soul in the afterlife), economic and political goals (disposing of estates), and social aspirations and responsibilities (maintaining family honor and increasing her social prestige). Title note supplied by Feminae.]. Source: Medieval Prosopography , 12., 1 (Spring 1991): Pages 1 - 28. Title : Donne religiose nella Firenze del Due-Trecento [The calling of Florentine recluses was grounded in the hermit tradition, but their lives came to be regulated according to monastic norms. The hermit ideal was rural, but these women were urban. Communities of recluses could come into conflict with local ecclesiastical authorities, but they often had important lay patrons. Marginal women, including widows and ex-prostitutes, often found homes in communities of penitents. Title note supplied by Feminae.]. Source: In castro poenitentiae: santità e società femminile nell’Italia medievali. Anna Benvenuti Papi . Herder, 1990. Studi Medievali , 32., 2 (Dicembre 1991): Pages 593 - 634. Originally printed as "Donne religiose nella Firenze del Due-Trecento: Appunti per una ricerca in corso," in Le mouvement confraternel au Moyen Âge: France, Suisse, Italie: Actes de la table ronde, Lausanne 9-11 mai 1985 (Droz, 1987). Pages 41-82.